Rainbow Mountain Children’s School, as it was originally called, started with 15 families and rented the Sunday school rooms at All Soul’s Episcopal Church in historic Biltmore Village. The new school was well received by the Asheville professional community and soon was considered an educational leader in the area. During the early 1980s, under the leadership of Ashrita Laird, the school added an elementary program that extended through the fourth grade. 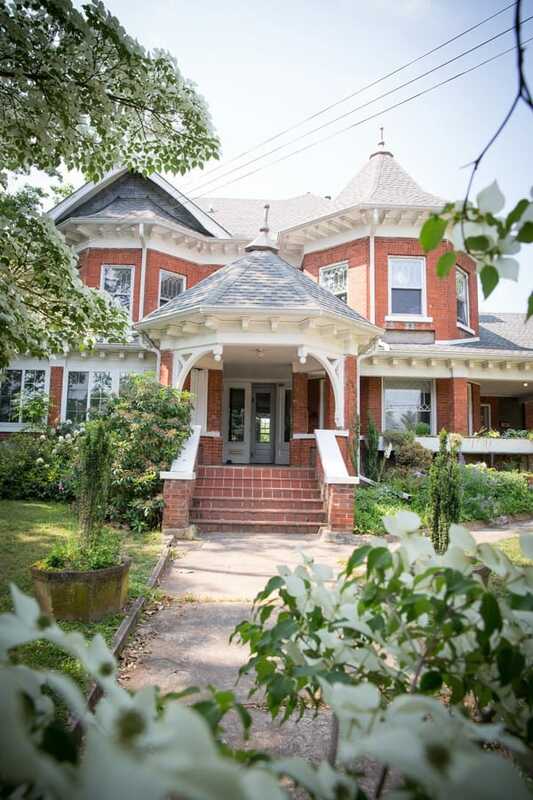 In 1986, the school acquired its current site at Haywood Road, earning an award for rescuing the historic building in vibrant West Asheville. Rainbow created the Omega Program in 1994 to serve middle-school children. John Johnson, director during this period, introduced two educational approaches to support the needs of older students: the Multiple Intelligences framework of Harvard Professor Howard Gardner and essential learning behaviors. In 1997, senior teacher Jane Stanhope took over as director. Jane oversaw a dramatic overhaul of the school’s campus that included the creation of a new classroom building, extensive remodeling of the historic schoolhouse, and a major reworking of the grounds. John Shackelton assumed directorship of the school in 2004 after several years as the school’s curriculum director. Under John’s tenure, Rainbow restructured its program to support the school’s rapid growth. The school also revitalized and clarified its identity after involving the entire school community in an in-depth self-evaluation process. In 2007, Rainbow welcomed its current director, Renee Owen. She previously founded and led a charter school in rural Colorado. Under her leadership, Paradox Valley School received national recognition for its excellence in arts and in closing the achievement gap. Renee brings to Rainbow an innovative service-learning model developed with funding from the Annenburg Rural Challenge, evaluated by Harvard. This model is presented in her book The Power of Project-based Learning, written with support from Carla Fontaine, Harvard Graduate School of Education, and Franks Betts, previous COO of the Association for School Curriculum Development (ASCD). Renee began her tenure at Rainbow by leading the faculty in mapping and enhancing the curricular scope and sequence in all subjects from kindergarten through eighth grade. She helped facilitate the school’s transition to the systems-based Dynamic Governance model, which transformed Rainbow into the clearly defined innovative model of education it is today. She also has made significant improvements in teacher salaries and professional development opportunities to ensure Rainbow attracts and retains the most talented holistic educators from the best graduate schools in the country. Renee’s early focus was creating cohesion in the academic rigor of Rainbow’s program so that Rainbow graduates would be widely know as outstanding scholars. With that secured, the communtiy engaged in a spiritual rebirth of the school and a two year vision quest, which resulted in a our most recent mission statement and principles. The original five domains became seven domans, with the addition of the Creative Domain and the Natural Domain, and the name of the school was changed slightly to Rainbow Community School. The recent focus has been on building the campus. Thus, the addition of the Orchard House property, the new fantastical playground, and the most recent drive to double the size of the campus, which led to the purchase of 3 additional acres and the purchase of several new buildings. The latest strategic plan that Renee and the board led, contains a vision to share Rainbow’s facilities with the West Asheville community as an act of service, and to share our educational model with the greater educational community around the world!